Some days back, we came across an issue. Products not being created in Magento using REST API. First we thought its something related to the hosting server and checked if the oAuth is installed properly which was working fine. Then tested locally with a php oAuth admin function and was a success and we could create a product. After a success of the magento in the last 5-6 years, magento team planning to release of the new version of magento Ie, magento 2. 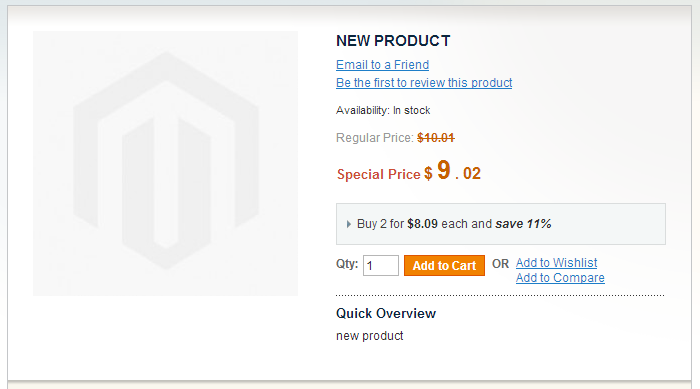 Within these 5- 6 years of magento, different versions are released and the last released magento version is 1.9.0.1. Each version have its own features and fixes of bug. In this blog we are explaining how to change the label of shipping & handling in cart page of Magento. We are working in Magento platform for couple of years. In the developing stage of websites we used many of the 3rd party modules. We can find many of the extensions for a single requirement. But we have to choose the right and good from that. The extension that we mostly used and its links are listed below. We recommended following due its friendly coding style, helpful support, and bug free features. RWD theme is the Magento’s first step in responsive web design and development. The theme offers a lot of responsive and multi-device adaptive features.HTML 5 and CSS3 is used to make this possible and with its’ introduction, the rwd theme is taken to next level. After installing the Magento you will notice that Home page, which is a CMS page, contains a beautiful responsive slider. This slider can be used anywhere else on the CMS pages. Here in this article, we are going one more step forward by implementing this responsive slider in non-CMS pages i.e. anywhere and if required, everywhere on our e-commerce site. Magento’s Free Shipping Promotion Rule is not working with some 3RDparty shipping modules. Installation ofthe 3rdparty magemonkeymailchimp module in magento 1.7.0.2, results in an error message in backend tab “Newsletter->Mailchimp->Ecommerce 360 Orders ->Ecommerce360 API Orders”.